Aren't Fridays great? Especially on a long, holiday weekend. Now, I don't work, so it is not that big of a deal, but my kids and hubby will be off on Monday, so hopefully we will do something fun this weekend. What are your plans? The new August DT images finally went up at Self-Addressed, so I can post my projects. The first is a little take out box. The first one I've ever done. It went easier than I thought it would, so I'm sure I will make them again in the future. 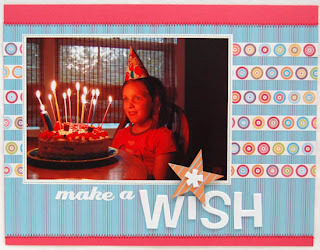 The next is a layout I did for my daughter's recent birthday. I love this picture, and this kit was perfect for it. Lastly is a birthday card. How could I not do a birthday card with this kit? Totally not possible. Well, thanks for stopping by. I hope you all have a great Labor Day weekend! ignored this little blog for the past month. I feel bad about that too. But, sometimes life happens. Since the last time I posted, we have taken a trip to the beach and the kids have started school. I am trying to get back into a routine, but I guess I am having a tough time. Here are a few of the latest things I have been working on. 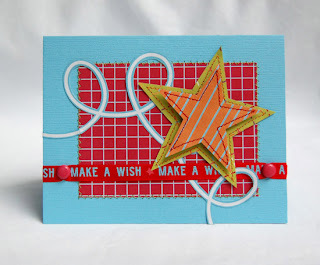 I just finished this card up today. I used some Magistical Memories chipboard buttons. I covered them up with some Scenic Route paper, added some KI Memories felt stickers to the centers, and used some foam squares to pop them up just a bit. I just love these little things. 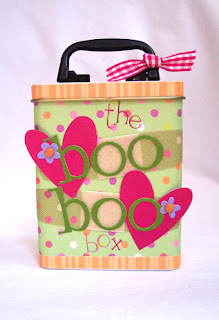 So cute and easy to use. I also did some projects for Provo Craft. This month I got to play with my Cuttlebug, and it was such fun. 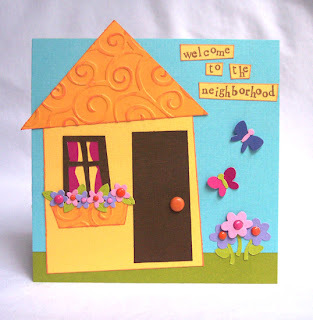 The first is a fun little "welcome to the neighborhood" card. I just love how this one turned out. The second is a band-aid tin. These tins are just so much fun to decorate. The third is a layout. I struggle alot with layouts, but I just loved this picture of my youngest daughter at the beach, and I just wanted to do something a little out of my comfort zone. 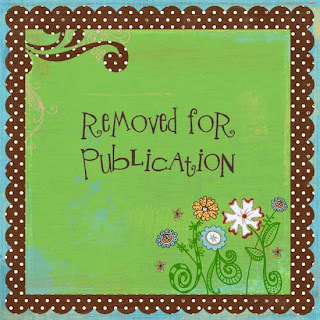 I don't think the scrapbooking mags will be knocking on my door any time soon, but I think it's kind of cute.